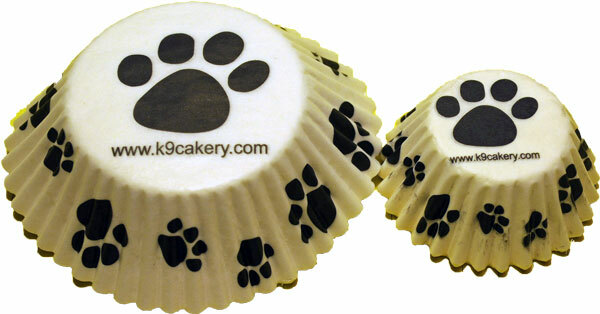 Dog Paw Print Cupcake Liners - 1"
Great for mini pupcakes! The paper stays it's original color-does not brown in the oven. Friends and customers love these as a gift especially with the bone plastic tin that you can put them in. Really cute, but I guess I didn't realize that they were going to arrive with k9cakery.com printed on them. I can't use them for my business. These are for just baking for fun. Love the supplies I received. A couple items were damaged, I wrote an email and they immediately sent me a replacement. That was so professional and I appreciated that very much! I will definitely order from her again and again for my business! Very satisfied!